Because a Book Never Forgets! Dan Ellis gets excited when he talks about heritage preservation before community service groups. Having written eighteen books about Gulf Coast Louisiana and Mississippi, he knows well the feeling of having contributed to the continuance of Southern legacies. Ellis is always confronted by someone who wishes to author a book, but who never gets around to it. Ellis suggests that even though a person may aspire to write a book, most often that dream never comes true. He offers another way around to what may be a seeming lack of discipline or persistence. Ellis suggests a team effort to put forth a book. Special interest groups provide an internal stimulation and cohesion to complete the task set before them. It could be a church or a school group that wishes to commemorate its anniversary observances. Everyone welcomes the emotional warmth at family or school reunions as old stories are recalled – having been lost in the maze of years that passes in one’s short lifetime. This nostalgia can be kept refreshed in the form of a memory book complete with photographs. In this way, everyone’s nostalgia can be nurtured by simply flipping through the pages of past experiences that can be kept very much alive for themselves and passed on to future generations. There are many undocumented repositories that abound. In the name of progress, too frequently school and church buildings are torn down and replaced with modern structures that result in the crumbling down of remembrances. If you are a person who habitually stores keepsakes and trivia that others would find inconsequential, then you above all, can appreciate the losses of landmarks, edifices, and even lifestyles. As a self-publisher for the past dozen years, Dan Ellis has come to know the short cuts and approaches in successfully writing, formatting, printing, binding, distributing, and promoting his books. Realizing that there is so much unrecorded information and sheafs of information that remain stuffed away in drawers – but never revealed for publication – for this reason, Ellis has learned through years of trial and error -- to use Print On Demand companies such as Amazon Books. If you are working with historical societies, genealogical societies, military units, church-school-cemetery groups, garden clubs, or even businesses who wish to record and preserve their story. The awfulness about an obituary is that the deceased person who is written about has nothing to say about it — and contributes not a single word concerning its authenticity or its inclusiveness. Regardless, what is of most relevant historical reading is its connectivity — by listing his/her predecessor relatives, --- which includes direct and meaningful peers and descendants. Needless to say, this is history — and obituaries have become of greater value to immediate and future generations in recognizing that science and technology continues to increase the world’s human knowledge base. Computers have greatly increased one’s capability to search out information from myriads of captured and stored data bases for those in a quest of genealogical endeavor. However, the trek remains tedious, time-consuming, and is thwarted by misinformation. Further, as scientific experiments accelerate in the field of DNA research, it has become more obvious that individuals need to know the healthfulness and debilitating histories of their forbears — not only for themselves, but for their children and grandchildren. A person can have a hand in writing his/her obituary by providing a short biographic sketch of professional, educational, social, and religious affiliations and endeavors. This resource, paralleled with “family-tree” information which may be found in “family bibles” — can contribute enormously to future descendants and generations. It is significant that even today, it is quite unlikely that an average person is acquainted with all four of their grandparents, much less great-grandparents — and even cousins and second and third cousins can be unknown quantities. Local histories of communities and cities are left grossly incomplete by signaling out only personalities who were selected solely for their community contributions due to their political leadership. A community is composed of so much more relevance and from many endeavors that are lost and left silent for the lack of a name or a noted task. Most history books mention a person of historical significance as if the person had been forever planted in that community — not ever reasoning that he/she could have been an alien from outer space — for all that is known of his/her prior existence. A contributed Obiterary also provides a berth of knowledge that would ordinarily be ignored — or, otherwise leaving local history quite incomplete. Even without every citizen’s inclusion, those that do partake — help create a more genuine historical manifestation for future generations. Added photographs provide an even greater enrichment and further valued by the inclusion of the home they dwelled in. Not only does the Obiterary become a document of historical significance, but the Obiterator participates as a historian and contributory resource. If ain’t in Print — It ain’t History! 'Til I'm Done with It! Daniel Armand Ellis was born at New Orleans, La on August 22, 1931. Dan Ellis, former Board Member of Orleans Parish Schools, former Guidance Counselor in Jefferson Parish and class room teacher in the parishes of St. Bernard, Orleans and Jefferson, and an early pioneer in several computer entities between 1966 and 1992. 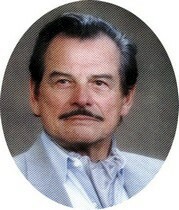 Ellis received his bachelor's degree from University of Southeastern Louisiana and a master's degree from Loyola University. He served in the U.S. Army in Korea (Feb. 7,1952 to Jan. 14, 1954), a member of American Legion, Ed Brauner Post #307 at New Orleans, and the VFW Post in Pass Christian. In the New Orleans area, he was Member Young Men’s Business Club; Member, Horne Service Advisory Board of the American Red Cross; Member, New Orleans Association of Retarded Children; Founding President of the Young Democrat Toastmasters Club; Chairman, Youth Study Committee for City of New Orleans. Member, Data Processing Management Association; Member, Association of Computer Machinery; Member, New Orleans Athletic Club. Consultant, Information Council of the Americas; Member, Sheriffs Advisory Committee for Orleans Parish; Award for Outstanding Service, N .O. Coaches Association; Award for Distinguished Service to New Orleans Youth, Mayor Schiro, City of New Orleans. While in New Orleans, he was active in the Chamber of Commerce, the Greater New Orleans Tourism Association, and the Jefferson Parish Economic Development Organization. Ellis moved permanently to Pass Christian, Mississippi in 1993, having purchased his home at 225 Fairway Drive, in 1976. In Mississippi, he served as State Communications Consultant for Mississippi AARP; Board of Directors Member of Mississippi Coast Chamber of Commerce; Founder and President of the Pass Christian Tricentennial Committee (1998-99) and the Pass Christian Lighthouse Society (2000). Founder and Captain of the Krewe of Blarney Half-Fast Walkin’ Parade. 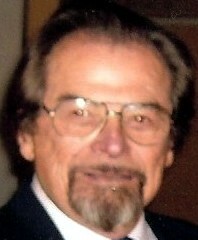 (1995) Chairman, Jazz in the Pass Committee (2004-05), having originated the event in 1999; and member of the Board of Directors, Chamber of Commerce of Pass Christian. Odilie Josephine Rodriquez was born on June 7, 1911, and arrived to the U.S. in 1920s. She married her first husband, Daniel E. Ellis, followed by August F. Werner, Sr. of Buck Town, Jefferson Parish, then Mario Calderini of Honduras, then Miguel Fuentes of Mexico. Ellis's Father was Daniel Emery Ellis of Linton, Indiana, born November 8, 1887 — died December 2, 1972 of pneumonia in Veterans Hospital at Alexandria, LA. -- leaving a surviving sister --- Sarah Elizabeth Page of Indiana. Ellis's Brothers are August F. Werner, Jr. (deceased), Edward Werner, George Werner, and Mario Calderini of New Orleans. Ellis's Sisters are Evelyn Ellis Assaf of New Orleans (deceased), and Jerlyn Werner Courtney of Baton Rouge, La. First wife, Frances Andre “Elynor” Wolfe (deceased), married on July 23, 1951, having four children. Brenda Danette Ellis Macaluso of Destrehan, La. Born October 14, 1954; Suzanne Elynor Ellis born July 31, 1958; Karyn Annette Ellis born September 28, 1963; and Cynthia Ellis born October 14, 1965 of New Orleans. Second wife, Giovanna Vacarro Mix Ellis was born in Ohio (divorced). What happens to some of our disappearing citizens of note? If they haven’t gone on to a higher plane, then what else can be expected of them? 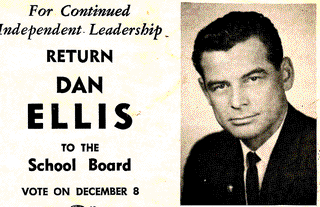 One of these who comes to mind is Dan Ellis, a former Orleans Parish School Board member during the 1960s, and who appeared in a number of business promotions in television commercials and magazine infomercials up to 1990, before vaporizing. The fact that he had been involved in area politics and community service organizations, like so many others who are missing on the scene, it goes to show the ongoing dynamics of the Greater New Orleans area which produces volumes of replacements to blossom forth. Perhaps it is worth tracking down some of these prior notables, if only to see that they have not abandoned their prior hopes and endeavors. Recently deceased Stephen Ambrose, famous for his many books on history and for his persuasion for the construction of the World War II museum, had a second home in Mississippi at Bay St. Louis where he spent much of his time. Like many other Orleanians who maintained dual residences on the Gulf Coast, a tradition which had its roots in the 1830s, Until Hurricane Katrina (2005), Dan Ellis could be found in semi-retirement at his home in Pass Christian, Mississippi. Like Steven Ambrose, he too, has been prolific in propelling a series of heritage books, dealing exclusively about the Gulf Coast area. He has produced a cornucopia of books, moreover, as a self-publisher with book distribution limited to local gift shops, museums, and independent book stores, and more recently at Amazon Books. It is not surprising that Ellis has been deeply involved in South Mississippi community and service organizations. 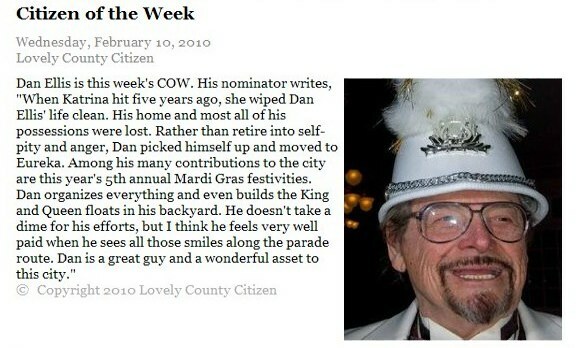 For those who remember him as a New Orleans area classroom teacher, guidance counselor, school board member, or computer entrepreneur, he can be easily found at his several WebSites, but most explicitly at DanEllis.Net. His subject titles include Bay St. Louis, Pass Christian, Gulfport, Hurricane Camille, Lighthouses, the glorious old hotels of yesteryear, and including other communities such as Slidell, Kiln and DeLisle -- he now includes the Ozarks and Eureka Springs. Born in Bucktown, a small fishing village on Lake Pontchartrain near New Orleans, Dan Ellis is a former educator and computer entrepreneur. As an educator, he taught history in Plaquemines, Orleans, and Jefferson parishes, was a former Orleans Parish School Board member, and operated a chain of proprietary schools. He also spent thirty years in owner-operated computer businesses located in Louisiana and Mississippi. After moving full-time to his Pass Christian home in 1993, he became a self-publisher and distributor of local legacy history books. With more than 20 books completed, and others in progress, he continues to write newsletters, periodical columns, and develops heritage websites on the internet. Ellis calls himself a “Historicizer and Scrutinier,” which he translates to mean a History Writer of Authenticity. Some awards of recognition are: a “Best Historical Writer” award from the Gulf Coast Writers Association, and the Christian Brothers Catholic Order award for his contributory research on the Christian Brothers College in Pass Christian. For fun and entertainment, Ellis is the organizing founder and Parade Marshal of the Krewe of Blarney, Pass Christian’s St. Paddy Parade, the only walking parade on the Gulf Coast. He also served as Co-Chairman of “Jazz in the Pass,” the only JazzFest in Mississippi, which celebrates the heritage of traditional-jazz celebrities who were native to Pass Christian. Since moving to theOzarks, he was selected as a Henry Awards Finalist in recognition for Outstanding Volunteer Services. Born in the Year of the Rooster, a "Leo"
As a Journalist and Writer, Ellis has written columns in such periodicals as Citibusiness News in New Orleans, Coast Business, Gulf Coast Good News, and the Progress, as well as articles for the monthly "Senior Scene," the "Gulf Coast Magnolia Quarterly," and "Inside-Northside" magazine. He has been Editor of several newsletters such as the Mississippi AARP Quarterly, the Pass Christian Tricentennial, the Pass Christian Lighthouse Society, the Mississippi Sound Historical Museum, and the Timber Ridge Reporter. In addition, Ellis has self-published more than two dozen topical heritage books. 1997 – Created first Haunted House that raised $1100.00 for the Playground Booster Club. 2003 – Presented “Christian Brothers Catholic Order” award for contributory research on the Christian Brothers College in Pass Christian. and more info can be found at his various web sites.